betahaus | Office Hours are one-on-one consultancy sessions with experts from our community to our community. We've asked our in-house experts to share their knowledge on everything from German tax code to crowdfunding, and they're absolutely free for betahaus members. Explore which Office Hours are avaliable this month! 1. Do The Right Thing! Law Office Hour! Do you have questions concerning topics such as founding, shares, vesting, contracts, funding or exits? Or maybe you need help developing a negotiation strategy? As entrepreneur you have to negotiate in numerous situations: with co-founders, investors, employees etc. Then this law office hour will help you to develop a perfect strategy for your situation. Event holder: Ludmilla and Jan are the founders of KUHLEN, a corporate law firm with digital DNA specialised in start-ups and both work as experts in strategic negotiation. With this office hour you will gain insights into the seed investors perspective and support on topics such as business modelling, go-2 market approach, target group structuring and on funding need/valuation. Event Holder: WestTech Ventures & Project Flying Elephant are leading this sessions. WestTech Ventures is a technology-oriented early-stage investor in Berlin, that invests in startups through all of the development stages. Project Flying Elephant is their Deep Tech Incubator, that supports strong tech teams in funding as well mentoring, workshops etc. You are developing a great business idea, but there’s something holding you back? Isn’t it time to end all that and learn how to talk about your business in any and every context? This Office Hours is meant to help you get started on clarifying your core story, which forms the basis of ALL your business communication, so that you get the attention of potential clients, investors, partners, affiliates, etc. 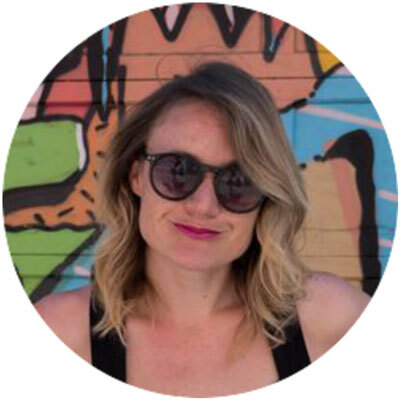 Event Holder: Carmel Finnan helps mission-driven Creatives, Entrepreneurs and Small Businesses who struggle to grow their business, get their story right so that they easily get noticed, get connected and get hired. She is the owner of Insight Stories, which focuses on using strategic storytelling as the basis for a successful marketing and branding system for her clients. Making a difference starts by being an entrepreneur of your own journey, making your life the personal embodiment of what you believe, value and dream. Luiza is offering a free Dream Facilitation session to support you clarifying your vision on what do you want to do & create an actionable plan on how to implement your life purpose on a day-to-day basis (make a career transition, a personal change or implement a new project / business / idea). specialized in Entrepreneurship and Sustainability and an MBA at the European School of Management and Technology – Berlin. This intensive crash course is perfect for anyone who wants to get a quick introduction to Excel, need to refresh their memory or has a specific problem. The session would either consist of an introduction and general overview of the most important formulas and features or it can be also tailored to your specific issue (i.e. How to write a v-lookup or create a pivot table). Examples of topics covered are: Creating Tables, Cell Formatting, Conditional Formatting, Basic Formulas etc. Event Holder: Jacek Polewski from ChallengeJP has over 10 years of experience working in financial and data analysis. He's now more than happy to be sharing his practical knowledge of Excel either via tailored one-to-one training or consulting. 6. Is Your Startup Ready for Journalists? It’s no secret that getting featured in the right media at the right time can dramatically boost your startup momentum. However, as a startup, it’s difficult to get picked up by the media in a meaningful way. During this session we will see how to approach the people behind the media landscape, depending on your business goals. Event holder: Olivia Czetwertynski is the co-founder of Becomewide and StartupPressRoom, international PR consultancies specializing in global PR and growth strategy for startups. She has worked for world-leading advertising agencies MRM Worldwide and TBWA. Many startups, struggle with setting up an effective system to comply with GDPR. Looking closely at what data is collected by the company, on what basis, for what purpose and how it is processed is a central piece of this puzzle. In these coaching sessions, we will look at the data lifecycle adopted by your company. Relying on a specific framework, we will define several actionable steps to be undertaken in order to make your company more GDPR compliant. Event holder: Dr. Mira Suleimenova is a digital law expert, specialising in the legal aspects of new technologies. With a background in international investment law and corporate leadership, she has a unique perspective on technical and social innovation. Event Holder: Christelle is a media strategist and the founder of KomLeBaobab, an intercultural Media and Public Relations agency. A part from managing PR and Media campaigns, she is often leading workshops and meetups on Social Media and PR topics. Thanks to her bi-national background (France and Ivory Coast) and university curriculum in languages and civilisations, Christelle has been developing strong intercultural communication skills. Truly engaged and motivated working people are the greatest competitive resource in every organization. A committed employee helps shape a great company culture and is a multiplier for every HR Business Strategy. Some of the covered topics in this office hour are: Sustainable Recruiting, Employer Branding, HR Innovation Management and Retention Strategy. Event Holder: Bridgery focuses on empowering Managers & HR Professionals to create people-centred innovation by engaging interdisciplinary teams and crafting sustainable HR solutions with innovative methods such as Design Thinking, Positive Psychology, OKR’s and Lean Management. 10. Taking Care of Your Mood Swings! Are you working on a project, but feel confused about which is the next step you should make? Are you about to start a new journey? Is your current project/job transforming into a nightmare? If you feel blue and your motivation is weaker than before, then this office hour is for you! Event holder: In his work as a counsel, Stefano Carpani support individuals in their self-development process. Stefano Carpani is a Psychoanalyst-in-Training (diploma candidate) at the C.G. Jung Institute in Zurich, a Ph.D. Researcher at the Centre for Psychoanalytical Studies at the University of Essex as well as the initiator of the School of Dreams. 11. Communications – where to start? Are you planning your communications activities but not sure where to start? Struggling with defining your brand or product for customers? Do you just want to sound-check some ideas? This Office Hours session (one-to-one consulting) can help. Event Holder: Jon, lead and strategist at Us Berlin and founder at Racemappr has over 10 years experience in communications, including global product launches and brand creation. Co-ordinating the team of experts at Us Berlin, in everything from copywriting and conception to web development and campaigns, he can help you - Prioritise channels of communicatio, Simplify and define your messaging or position and Define audiences and relevant attributes to these. Need help finding a flat, getting a visa or battling the German bureaucracy? Expats In Wonderland is a relocation agency offering free 20 minute consultation sessions at betahaus. They can help you with: Finding an apartment, Getting a visa (as a freelancer, self-employed, employee, family), Entering the artists insurance association (Künstlersozialkasse) or Residency registration (Anmeldung). ‍Event Holder: Expats In Wonderland was founded by former dancer and performance artist Ina Sladic. After 13 years touring in Europe as an artist, Ina became an accidental relocation expert. With each new performance came a new relocation and visa requirement, so much of her time was spent in government offices and searching for new apartments. 14. Systemic Coaching: Find new perspectives, answers, solutions, ideas! You have so much work that you even don’t know where to start? You want to bring something into a sharper focus? You’re having a hard time making a decision? Working with a systemic coach can help you reflect the (social) systems you are working and living in and your own positioning within these systems. No matter if it’s concerning your business partners, clients, colleagues, family or friends: Your coach won’t tell you what to do but rather support you with finding new perspectives, making decisions, solving problems, answering questions and tapping your full potential. Event holder: Peggy Lee is a business consultant to startups of early and growth stages, small- and mid-sized enterprises, and creatives from a wide spectrum of industries. Currently, Peggy serves as a mentor to startups in two accelerators in Berlin, Germany: TechStars & Axel Springer & Porsche (APX). Peggy has a deep understanding of both western and eastern culture and business practices, with full-time or consulting experiences span several industries, including banking, logistics and supply chain management, technology, sporting goods manufacturing, music, and education. *Check out our event calendar for more events coming up!